Premier Corner Retail Store Front! 3,180 Sq. Ft. Retail Space Plus Full Finish Basement 3,180 Sq.Ft Total Of 6,360 Sq.Ft. Offer At $25 Per Sq. Ft. Including Basement Space. Premier Corner Store Front 1567 Fulton Street, Brooklyn, Ny 11216. 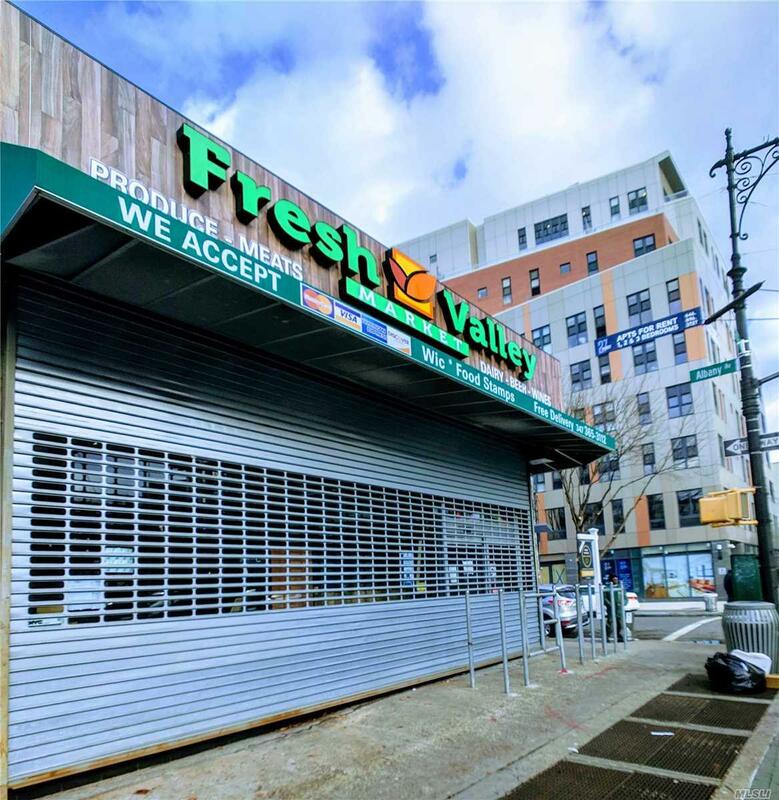 The Offering Consists Of A First Floor 15 Feet Height 30 Feet Frontage 106 Feet Deep Retail Space With A Full Basement Located Right On The Conner Of Fulton St, & Albanyave. This Awesome Retail Store Front Is Approximately 6,360 Sq. Ft. Including Basement. Listing courtesy of Prime America Real Estate Inc.